OTEPIC is a community-based organisation born out of passion for sharing knowledge and innovative approaches with those who need them most: subsistence farmers, and in particular, women and youth groups in the “Trans-Nzoia County” in Western Kenya and its surrounding areas. OTEPIC aims to address the depletion of soil and water, climate change, the lack of sufficient food and the social injustice caused by years of intensive globalised agriculture. 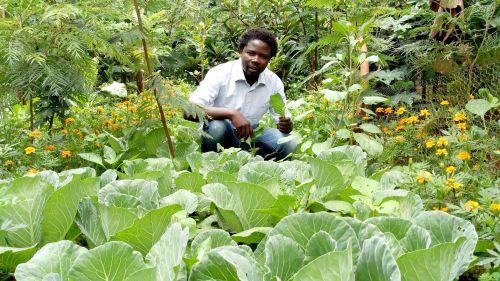 It does this through training communities in sustainable permaculture, including crop diversification, water harvesting, soil and composting, nutrition and renewable energy. All training is free, and farmers are given the opportunity to experiment so they can gain a true understanding of how nature works. The project cultivates three gardens on an area of 11 hectares and also runs an orphanage, a birth house and a dance group. OTEPIC operates with the principles of sustainable self nourishment, knowledge transfer and living in peace and harmony with nature.